New Delhi: A study done by Greenpeace India to analyse the ambient air quality of 313 Indian cities and to examine the efficacy of National Clean Air Programme (NCAP), launched by the government in January, has claimed that the efforts required to combat air pollution are much more than those being planned by the government. It has asserted that the NCAP is not as comprehensive as was claimed. The study has revealed that there are as many as 241 cities that are violating the National Ambient Air Quality Standards (NAAQS) and must be included in the national programme. However, the NCAP is targeting only 102 cities which is half of the number cities estimated by Greenpeace to be severely affected by air pollution. The NCAP, launched by the Ministry of Environment Forest and Climate Change, specifies the country’s first ever air pollution reduction targets and sets a target of reducing levels of toxic particle pollution caused by the pollutant Particulate Matter 10 (PM10) by 20 to 30 per cent by 2024, with 2017 as the base year. The plan zeroed in on 102 cities including 43 smart cities, termed as non-attainment cities, or the cities which are violating the country’s air quality standards and are required to prepare city-level action plans to achieve the air pollution reduction targets. The plans include increasing the number of monitoring stations, providing technology support, conducting source apportionment studies, and strengthening enforcement. The report, Airpocalypse III, published on January 29 carries pollution data from 313 cities collected from government sources like Central and State Pollution Control Boards. The study found that while not even one city covered under the study met the World Health Organisation (WHO) standard for ambient air quality, 241 cities were found with pollution levels beyond what is prescribed by even the National Ambient Air Quality Standards (NAAQS). In recent years India’s air quality has deteriorated to the point where it has become the most consistently smoggy country in the world, with pollution levels even exceeding those in neighbouring China. There are a number of studies that prove that the high level of pollution in India is proving to hazardous now. 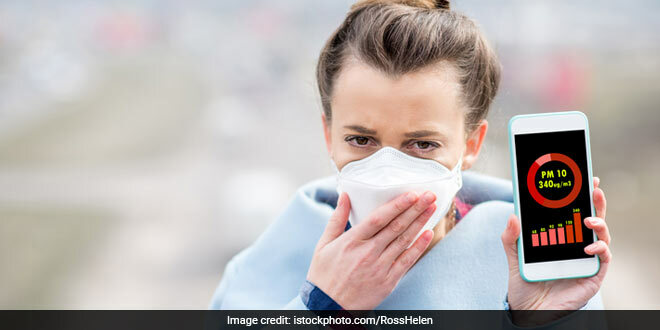 More than 6.7 million people were killed due to outdoor particulate matter air pollution in India in 2017, as per the Indian Council of Medical Research (ICMR). The omission of the 139 cities by the government is due to the fact that the list of non-attainment cities in NCAP was drawn together using data from the years 2011-2015. However, since the data for 2017 was available when NCAP was finalised, it would have made more sense to update the non-attainment list to include all such cities in the final NCAP. We have appealed to the MoEFCC to revise its data and use the one for 2017 for more genuine numbers. • The NCAP is aiming to reduce pollution levels by 20-30% in only 102 cities. Assuming that all the 102 cities will achieve a 30% reduction by 2024, we will still be left with 139 cities, which will have PM10 levels above the NAAQS in 2024 and belong on the list of non-attainment cities. While India’s clean air programme includes a long list of recommended measures, it leaves implementation only in half of the problem cities. • The 139 cities that have been left out from NCAP’s list include several cities that have population more than 1 million like Ranchi, Dhanbad in Jharkhand, Jabalpur in Madhya Pradesh, Chennai and Madurai in Tamil Nadu, Meerut in Uttar Pradesh, Pimpri-Chindwar and Thane in Maharashtra, Surat, Rajkot and Vadodara in Gujarat and Howrah in West Bengal among others. This implies that a huge population is being exposed to toxic air. • The report reveals that among the 241 non-attainment cities identified by Greenpeace, 153 are such cities that have air pollution levels so high that even if NCAP is implemented in these cities and a 30 per cent reduction is achieved, it will still leave them with air quality worse than the NAAQS, and much worse than the WHO standards. • The NCAP also mentions that the list of 102 non-attainment cities includes 43 cities proposed under Smart Cities programme. However, according to the study, 65 smart cities were found to be in the “non-attainment” category having been left out from the NCAP. • Only 12 cities identified under Smart Cities programme had PM10 levels below 60 µg/m3 which is the annual standard for PM10 prescribed by CPCB under NAAQS. These cities include Salem and Coimbatore in Tamil Nadu, Aizwal in Mizoram, Kochi and Thiruvananthapuram in Kerela, and Shillong in Meghalaya among others. • According to Greenpeace, there is a huge gap in the availability of data on air pollution due to the lack of real-time air quality monitoring stations in many cities. Mr. Dahiya said that many locations have manual air quality monitoring stations which take about three days to show the result and are also subject to human errors. Airpocalypse II, published in January 2018, assessed the size of the population exposed to toxic air. It found that 280 cities were violating the country’s air quality standards and about 550 million people lived in areas exceeding the national standard for PM10 which includes 47 million children under the age of 5. The limitation of the Airpocalypse reports is that these cover only those cities where air pollution monitoring is being done which mean that more than 400 cities could not be assessed due to lack of data. The government has come a long way from first promising a national-level action plan a year ago to setting at least tentative, measurable targets for which it can be held accountable. However, since the programme is not notified under any Act yet, it does not have any legal status. It is only a guiding statement. As a guiding statement also, it is not efficient as it lacks a specific sectoral and city-level targets and an implementation budget proportionate to the challenge, which leaves a lot of work to be done before the recommendations and targets are made into reality. The annual permissible concentration of the toxic pollutant Particulate Matter 10 (PM 10) in India as prescribed by the Central Pollution Control Board (CPCB) under the National Ambient Air Quality Standards (NAAQS) is 60 µg/m³ (microgram per cubic metre) which, according to the study is quite lenient compared to the standard recommended by WHO which is 20 µg/m³. The permissible limit for PM 2.5 under NAAQS is 40 µg/m³, four times the WHO standard.